What are computer assisted translation tools? Using computer assisted translation tools, shortened as CAT tools, is a method which involves the use of software to help linguists translate faster and more efficiently. 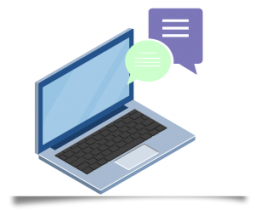 In a matter of time restrictions, CAT tools can efficiently reduce the translation time, allowing the translator to translate content faster and more accurate. Computer assisted translation tools are not automated, machine translation tools. CAT tools only aid translators in their work, allowing them to use past translations into current projects. The output is a human translation brought out with the support of digital tools. That is, a human translator is the one reading and understanding the purpose of the source text and conveying it into the target language. 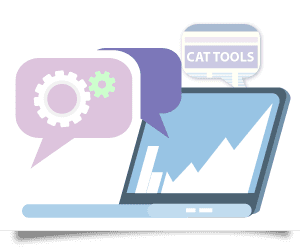 They are using CAT tools to assist them to work faster, with the option to use the translation memory for terminology and reuse past translations done for the same client. CAT tools are not used with every project at NordicTrans. We only use computer assisted translation tools when the clients specifically ask for such tools to be used. Clients who have been using our memory tools are now enjoying faster and cheaper translations with every new project, as the tools will reuse phrases already translated in the past so there is no need to translate them again. The same feature is being used when repetitive text occurs in the same document: the translator has to translate it just once instead of multiple times, lowering the translation cost. Translators are able to work faster and more efficiently by using computer assisted translation tools which allows us to provide shorter deadlines to large projects. Your translation cost lowers the more you are using such tools because you no longer have to pay for repetitions or phrases already translated in your past projects. This is not a machine translating, the human translator and the proofreader do all the work so you will get highly accurate translation services with every project. Computer Assisted Translation is often known as computer aided translation. NordicTrans also uses several tools according to the form you need your translation in, from Excel, InDesign files for desktop publishing, XML-compliant formats, etc. You probably previously used some of these tools yourself. For instance, almost every word processor, and many web browsers have a built-in spell checker and automated spelling correction features. This saves writers and translators a lot of time in correcting errors and looking up words in the dictionary. Speaking of dictionaries, when a translator does need to look up a word, they can save time by using an electronic dictionary. In our translation agency, our translators use various tools such as the multi-language dictionary (to help remember words that may be escaping us at that moment) and the glossary (to help us select precisely the right word for our translation). More complicated computerized translation tools being used involve translation memory tools, terminology managers, terminology databases, bitext aligners, and more. You’ll find below an essential kit we are using whenever clients ask for quick and high-quality translation services. The translation memory is the most popular CAT tool. It breaks the texts to be translated into units called “sections.” As the translator approaches the translation of the document, the software searches the text in a database of already translated sections. When the software identifies that a new section is similar to a section previously translated, it recommends that the translator reuse it. Some examples of translation memory tools: Trados Workbench, DéjàVuX, SDLX, Star Transit, MultiTrans, Similis, MetaTexis, etc. 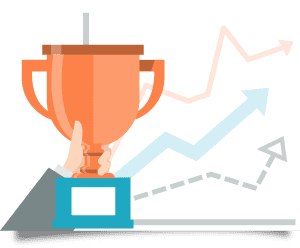 Language search engines work like traditional search engines, except that they do not attempt searches on the Internet but in the translation memory. The purpose is to discover, in these banks, parts of previously translated texts that match the new text to be translated. Linguee, a multilingual context dictionary, is one of them. Among CAT tools, there are also terminology management tools. With programs of this type, the translator can automatically explore for the words in a new document in a database. Some of these methods enable the translator to insert, in the database, new combinations of words that resemble and support text using different functions: the translator can then examine whether this or that term has been translated accurately and consistently during current and past projects. Here are three of these sorts of tools: SDL MultiTerm, LogiTerm, and Termex. 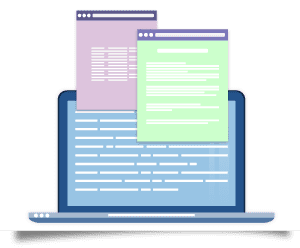 Text alignment applications provide the translator the ability to create a translation memory using the source and target of the same text: the software separates the two texts into fragments and tries to decide which sections correspond with each other. The outcome of this action can be introduced into translation memory software for later translations. Here are four types of alignment software: Bitext2, Tmx Bligner, YouAlign and LF Aligner. Why should anyone use CAT Tools? CAT tools have a point and position where their use is an advantage. The more scientific or technical a document is the more repetitions it has – and this is where CAT tools are going to be of big help for the translator. But there are both benefits and drawbacks in using computer assisted translation tools which should be kept in mind when they’re being used. Speed – CAT tools can lead to massive increases regarding the speed of translation. The more repeated phrases in a document, the higher the improvement. Time and money – In some cases, the expenses and the time it takes to keep content localized and up-to-date can become a barrier to the company’s efforts to expand on the international market. Investing in translation memory software is an excellent way to reduce localization expenses and time. Consistency – Because certain phrases have already been translated once and checked for accuracy, they’ll be drawn from the TM and be identical wherever they’re used. Even across multiple projects and multiple translators. Ability to share – Will your project require several translators working at the same time? With a Cloud-based tool, you’ll still maintain the above CAT advantages of speed and consistency. The format is no problem – It doesn’t matter what format a particular project requires. By using the right software, your project will still gain the above benefits. Better for technical documents – Because of the possibility of there being a significant amount of repetitions in technical, financial or legal documents, for instance, TMs can be filled very quickly and have much higher utility when used in such projects. When do we use computer aided translation? Computer aided translation tools are extensively used in the industry and while we do use such tools when needed, we are not using them with each and every project we handle. As stated above, such tools are of great help for both translators and clients, however, they are not suited to just about any document or client. Some documents won’t see any benefits from using computer aided translation, for instance, personal documents in need of certified translation won’t have any repetitions or the need to keep consistency of terms. Some of our clients need to have their translations in a translation memory and as such, they would need it to be done in a specific CAT tool. We can use any and all CAT tools whenever required, but we do not use such tools unless the client specifically asks for computer assisted translation. The short answer to the question would be: we do use computer aided translation tools, but only if the client asks for such tools, otherwise we will not use them. Computer Assisted Translation Tools work in compatibility with the requirements of the digital age and we as a translation agency, give you the option to have us use such tools if needed. 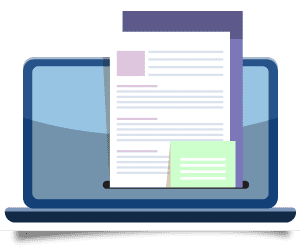 In many cases, we are required to provide paper-less translations in a specific format, and such tools can be of excellent help while working in such surroundings. Another advantage of using such technology is the ability to provide backup assistance to a translated document assuring that in case of any disaster, a copy of the document can be recovered. CAT Tools have added significantly to the performance of the translation process while assuring high quality output. They are important tools for both translators and clients whenever they are used.